Support the comic on Patreon– get custom art and unlock a monthly phone background!! You can also support the comic by giving a tip or commissioning the creator, Lucheek. 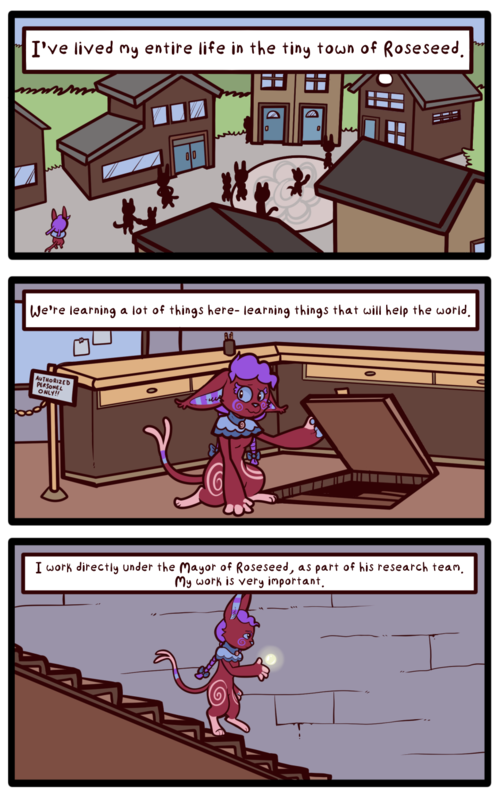 Station: Starseed is a member of Wool Wolf Comics, a webcomic collective focused on inclusion. question…dident it say in a previous page that she was mayor? Madame is not the Mayor! It would be pretty strange if she sent a letter to herself, wouldn’t it?